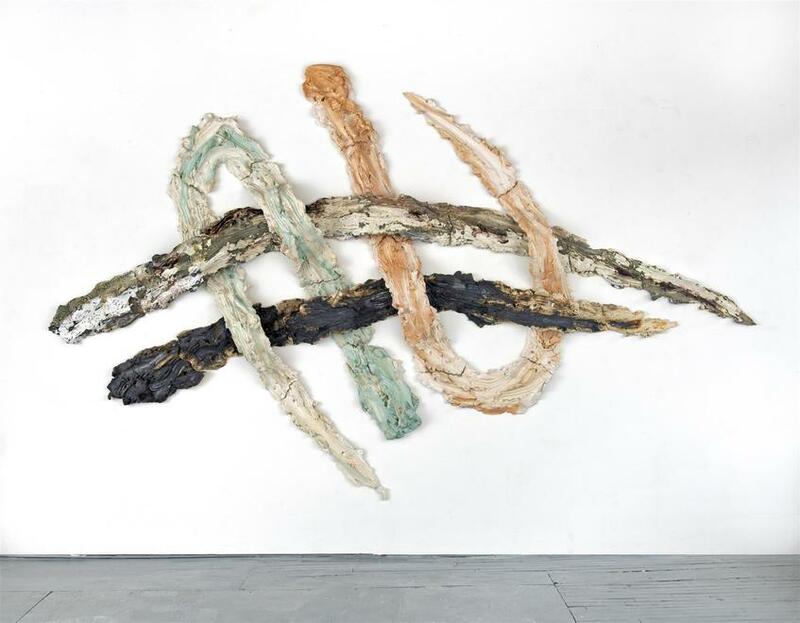 albertz benda is pleased to present a solo booth of works by sculptor Brie Ruais. Ruais’s pieces each begin with a mass of clay equal in weight to her own body. In a highly physical process, she pushes, scrapes, and kneads the material into undulating, organic shapes. Through the work, Ruais examines the body as a site for personal, political, and ecological struggle. The pieces bear the marks of their creation; they are whorled and rutted from fingers, elbows and footprints. 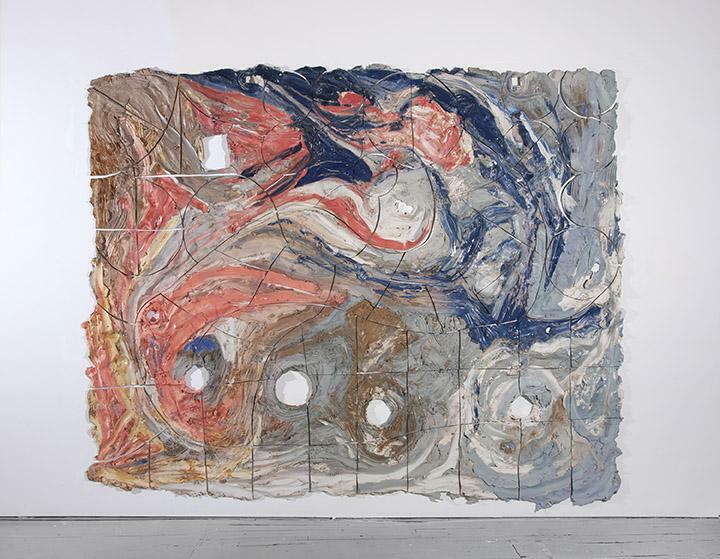 The resulting structures are then cut into segments, glazed in multiple colors, fired and hung on the wall. Acting as records of the artist’s actions, they also recall topographical maps, conflating the trauma enacted on individual bodies with that on the land. 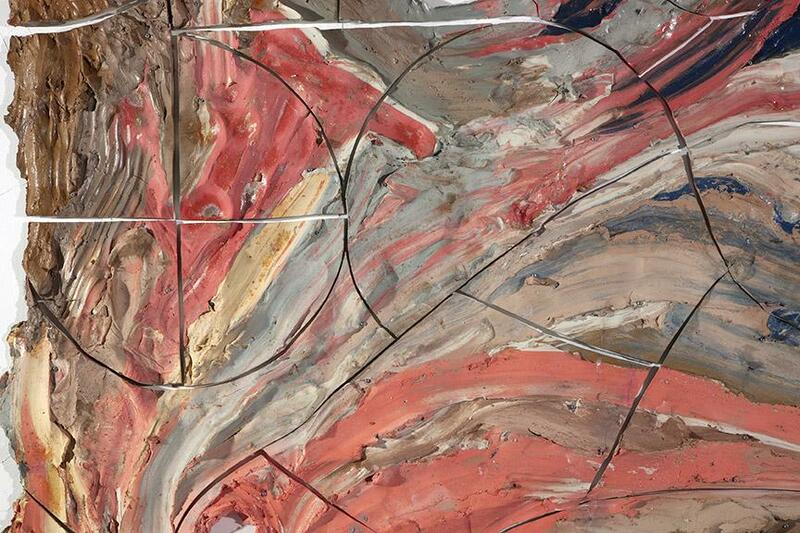 Furthermore, Ruais sees clay (a material mined from the earth) as inherently tied to the landscape. 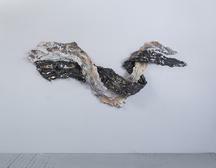 At a time when the state seems increasingly involved in the policing of bodies and borders, Ruais explores how a single body with a distinct of perspectives and qualities – female, queer, able-bodied, white – can express its presence within a space, and invites reflection on how one’s actions may leave extended traces over time. Brie Ruais [b. 1982] lives and works in Brooklyn, New York. 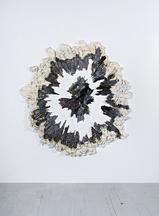 She received her MFA from Columbia University's School of the Arts in 2011. Her work has been exhibited at institutions including the Katzen Center at American University, Washington, DC, and the Museum of Fine Arts Boston. 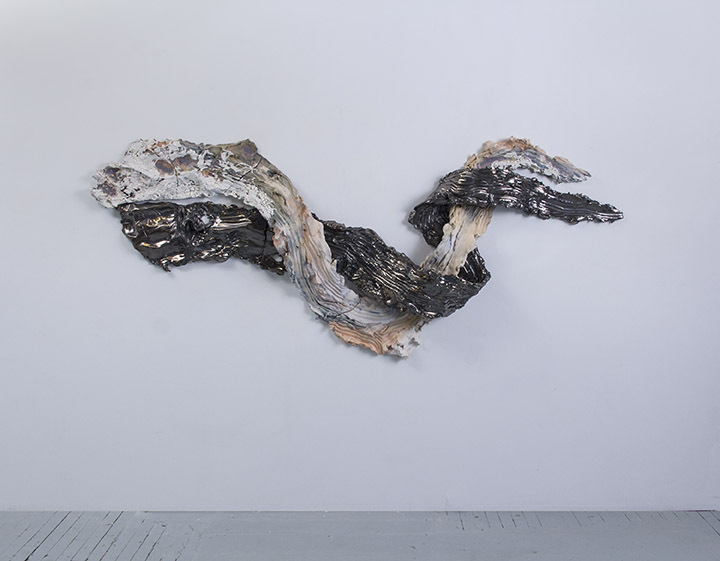 Awards and residencies include The Pollock Krasner Foundation Grant (2018), The Sharpe Walentas Studio Program (2018), the Dieu Donne Fellowship (2016), Montello Foundation Residency (2017), Socrates Sculpture Park Fellowship (2014), The Shandaken Project Residency (2014) among others. Ruais's work is in the collections of the Dallas Museum of Art, Dallas, TX; the Pizzuti Collection, OH; and the BurgerCollection Hong Kong. She is featured Vitamin C: New Perspectives in Contemporary Art, Clay and Ceramics, by Phaidon (2017).